Forget fancy smart speakers, in the future, with a bit of conductive paint and a custom sensor board, you might be able to create a DIY giant touchpad in your living room. Our homes are gradually getting smarter with more and more appliances and tools turning into IoT devices that can be controlled via apps or smart speakers or both. Now there is a third way on the horizon, one that wouldn't require picking up a phone or even uttering a word. Meet Wall++, a prototype ‘smart wall' born from the collaboration of Carnegie Mellon University and Disney Research. "What if walls could be a smart infrastructure; instead of merely separating spacing, could wall enhance rooms with sensing, interactivity and computation?" the team posits in a video for the project. They felt that the walls surrounding us are a missed opportunity. So the team came up with a solution using a low-cost wall treatment that enables a large area of a home to be turned into a giant touchpad. 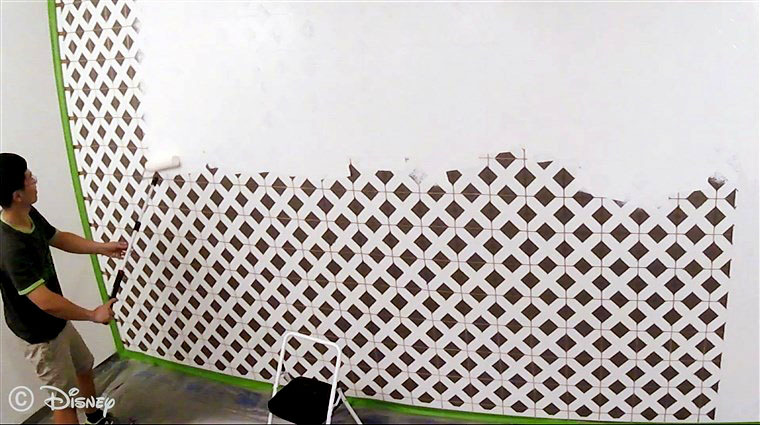 It essentially involves the application of conductive paint in specific patterns to create electrodes and a custom sensor board, in a process that turns a regular wall into Wall++ "an electromagnetic sensor to detect and track electrical devices and appliances." The wall recognizes gestures, such as taps and swipes, as well as having the ability to detect people and devices that are close by. So potentially, instead of saying “Hey Google, dim living room lights” -- you simply wave a hand. And maybe another arm movement would trigger the TV to turn on, who knows, a combination of dance steps might get a whole array of devices to wake up. And the researchers estimate the cost per square meter at about $20. But don't throw away your smart speaker just yet, Wall ++ is still just a proof-of-concept.